I like to decorate cross cookies. 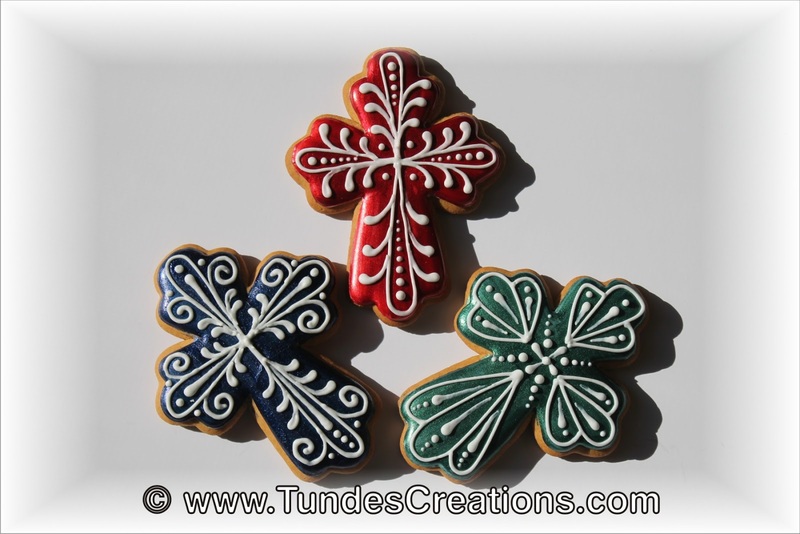 You have seen some with traditional piping in February, one with purple flowers and others with stained glass design around Easter. 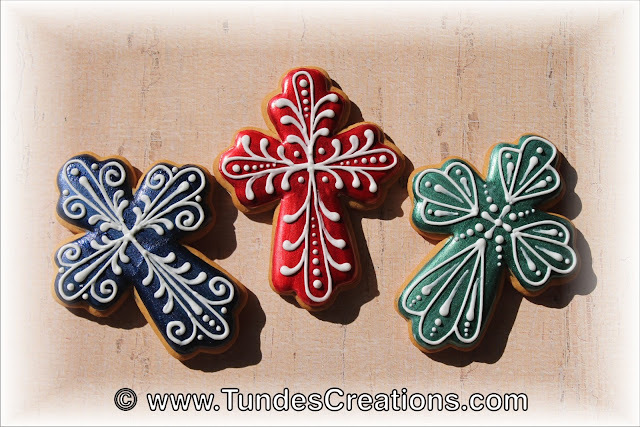 This time I used TruColor natural food colors and traditional white piping to decorate these roman cross shapes. First I outlined the cookies. Then flooded with white icing. When it dried I simply painted them with the gorgeous TruColor airbrush colors. The decoration is simple white icing. 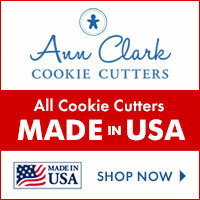 Visit Cookie Cutter Kingdom for this cutter and get 10% off with coupon code FRIENDSOFTUNDE. Here is a list of the places selling TruColor natural food colors.